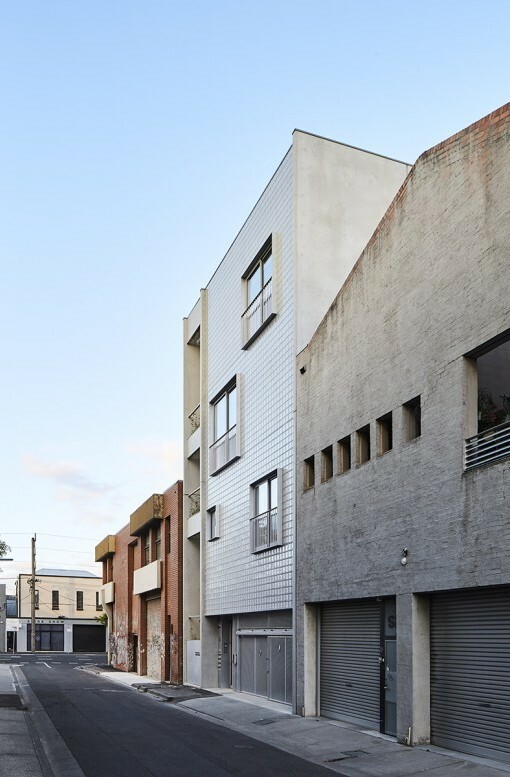 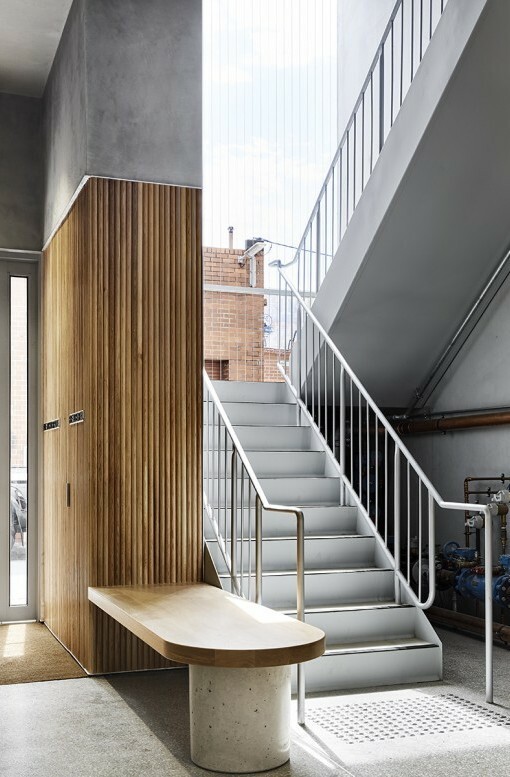 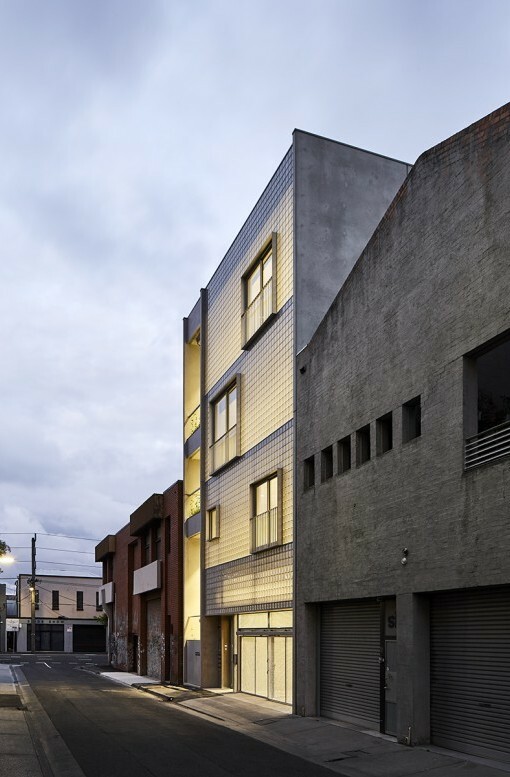 Located on a small back street in Collingwood, Light Box sits tightly between the adjacent warehouse buildings. 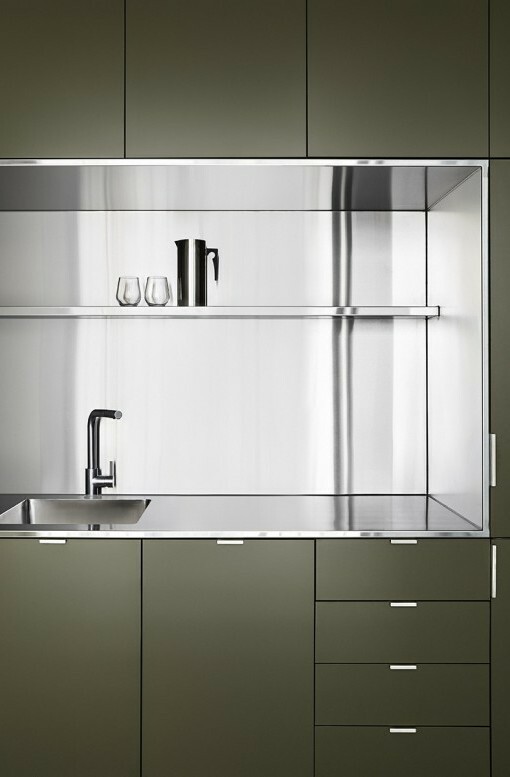 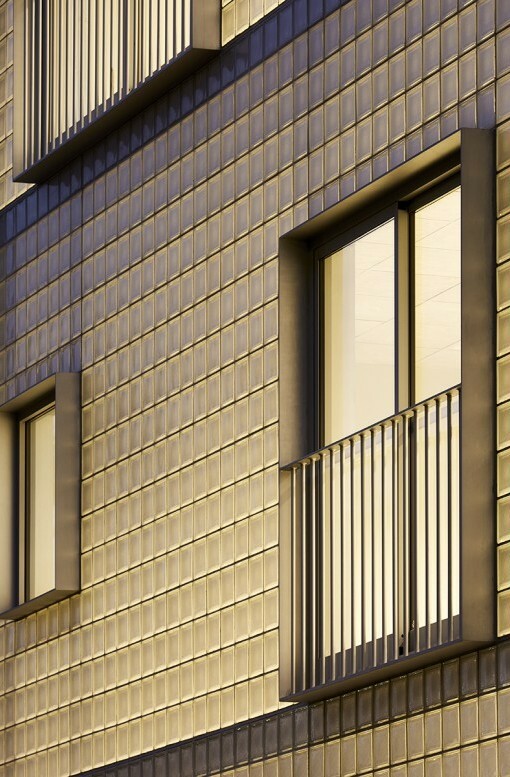 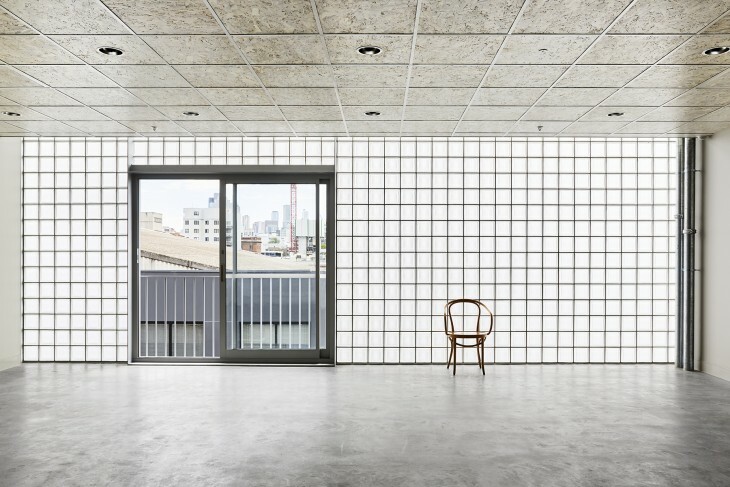 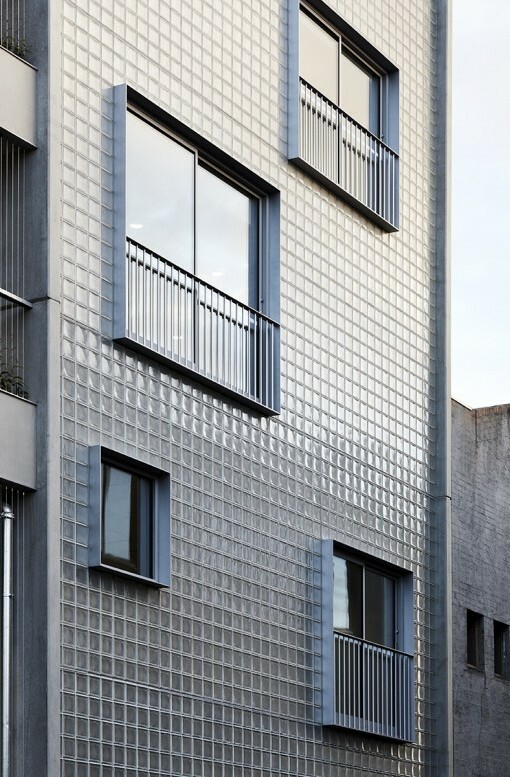 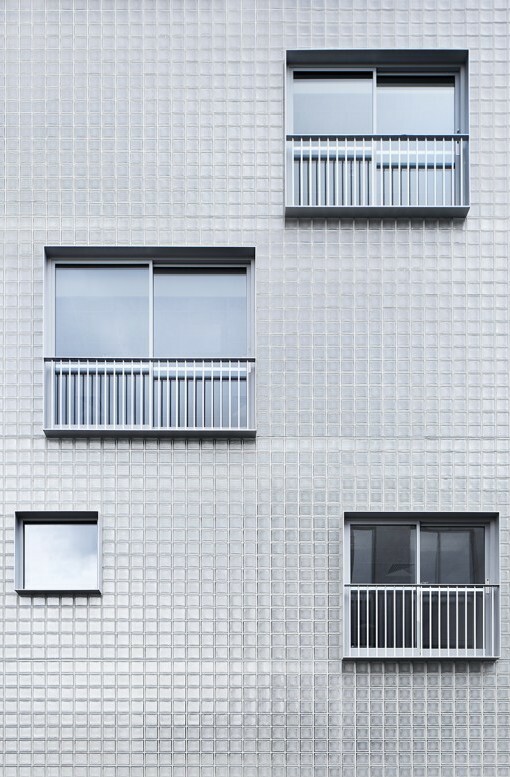 The singular materiality of the translucent glass brick façade provides a subtle texture and lightness to an otherwise industrial streetscape. 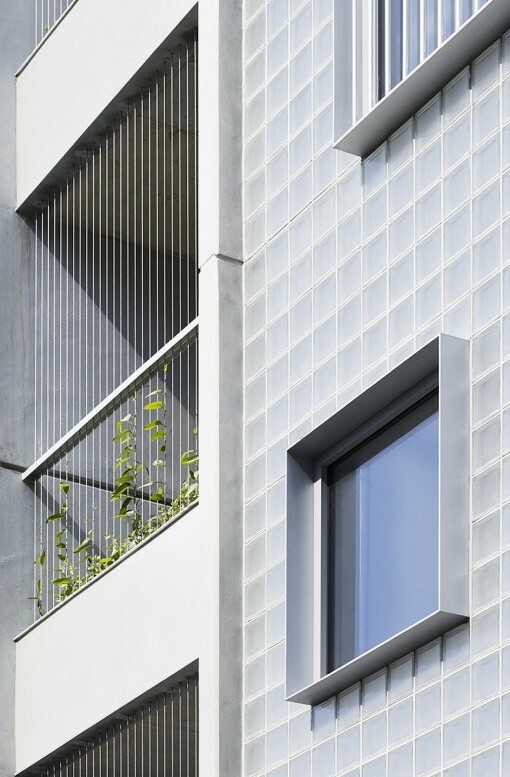 The blocks allow the interior to be flooded with light while carefully considered openings in the glass brick façade promote cross ventilation and direct engagement with street level activity. 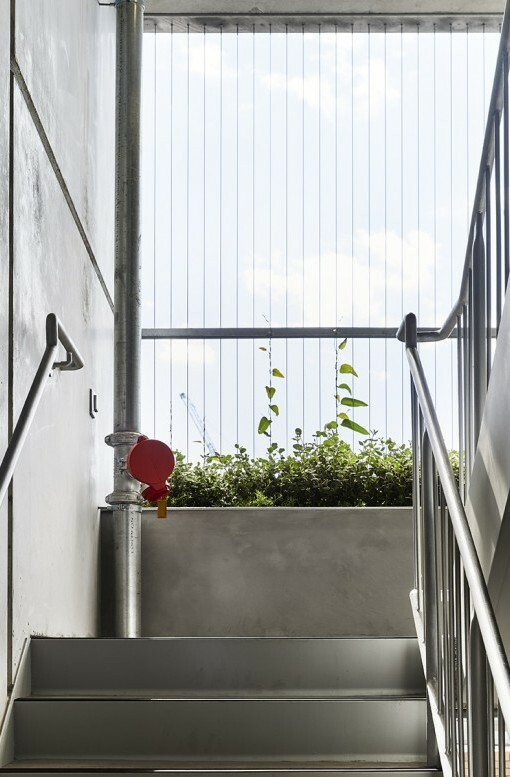 An open stairwell is enveloped with vertical greenery, providing visual amenity to the occupants and also the public.